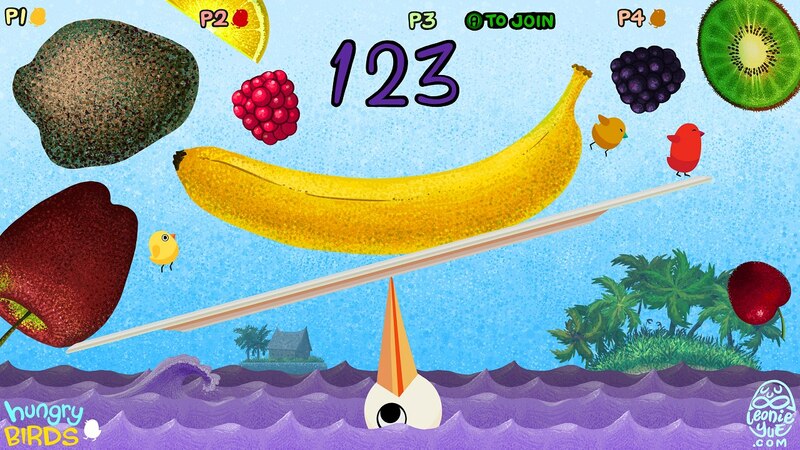 Hungry Birds is a Multiplayer Survival Party Game where you work together as 4 baby birds while your Mother Bird crosses an endless ocean. A freak tornado threw your picnic of delicious fruit into the sky! Eat as much falling fruit as possible and keep the plate balanced on your Mother’s beak, or that’s the end of you! Play with up to 4 joysticks/gamepads/game controllers! Check the input tab in the startup window to setup your keyboard controls for a cosy game for two. Hungry Birds is currently in development so we are open to feedback based on your thoughts on the latest version above! 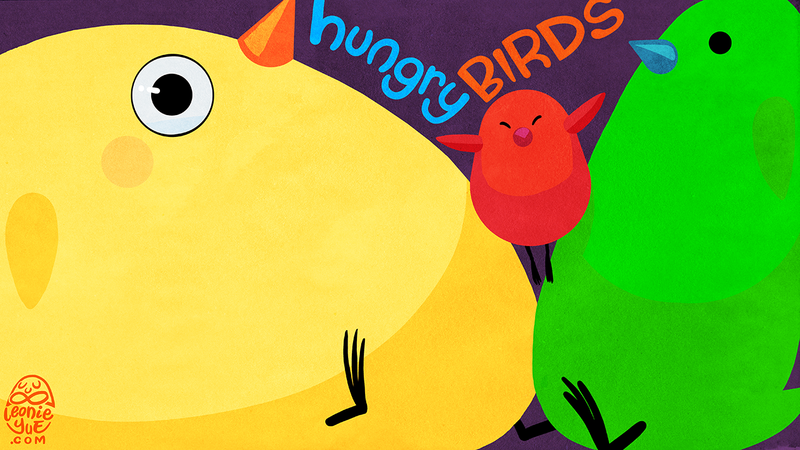 Hungry Birds was developed for the Global Game Jam 2015 in Melbourne, Australia. 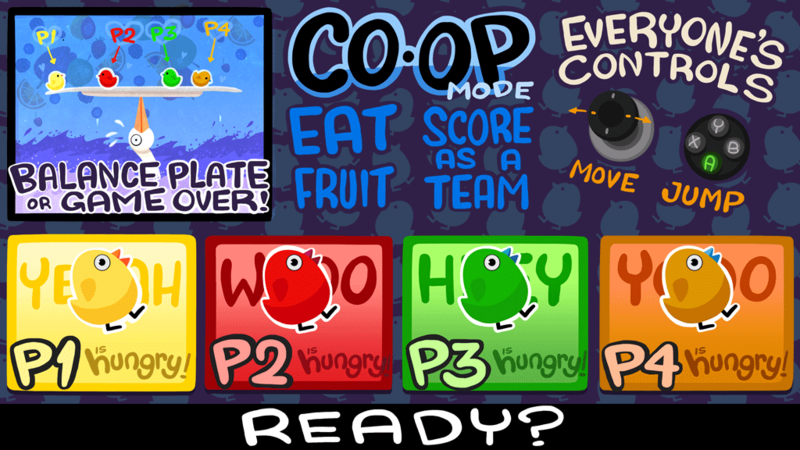 Copyright © 2019 Hungry Birds Party Game. Powered by WordPress and Saga.